In 4-quart saucepan or Dutch oven, melt butter over low heat. Add marshmallows; cook and stir until completely melted. Remove from heat. Add cereal; stir until well mixed and cereal is completely coated. Carefully spoon cereal mixture into each muffin cup. Use back of spoon to mold mixture into cups. Cool completely about 15 minutes. Remove cups from pan. 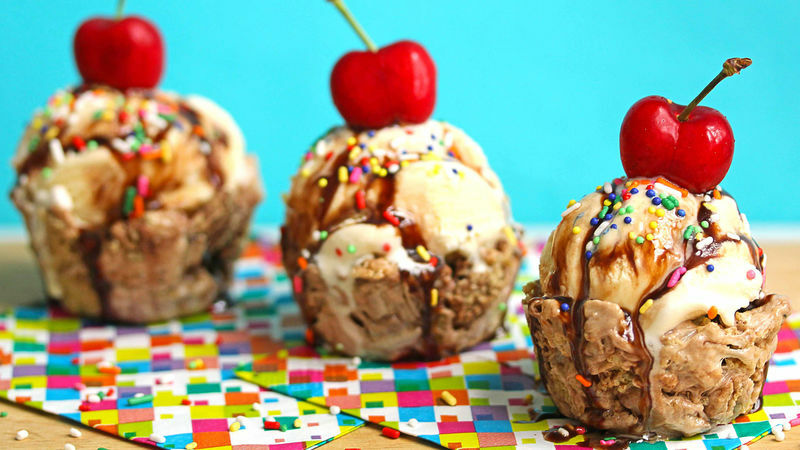 To serve, fill cups with ice cream and garnish with toppings. Try different flavors of Chex cereal to change it up! Serve the cups as part of a sundae bar! Put toppings like hot fudge, caramel and shredded coconut into bowls for guests to build their own ice cream sundaes.